Do you know what the Sunday Scaries are? According to the makers of Sunday Scaries Vegan AF CBD Gummies, it’s that feeling a person gets Sunday evening after a weekend of perhaps too much fun as they face the economic and physical realities of a sober, frugal Monday morning. Sunday Scaries has a tongue-in-cheek name and story, but their anxiety-busting gummies are no joke. Anxiety is Sunday Scaries’ specific focus, and they do it deliciously. As the name suggests, these gummies are 100 percent vegan, but even non-vegans will enjoy these gummies. They have a soft texture that gives gently and does not stick to the teeth. The sweetness of citrus or cherry flavor is cut nicely with a tart zip. Just the tiniest hint of earthiness and mineral taste from the full spectrum CBD oil and vitamins remains, adding to the taste. 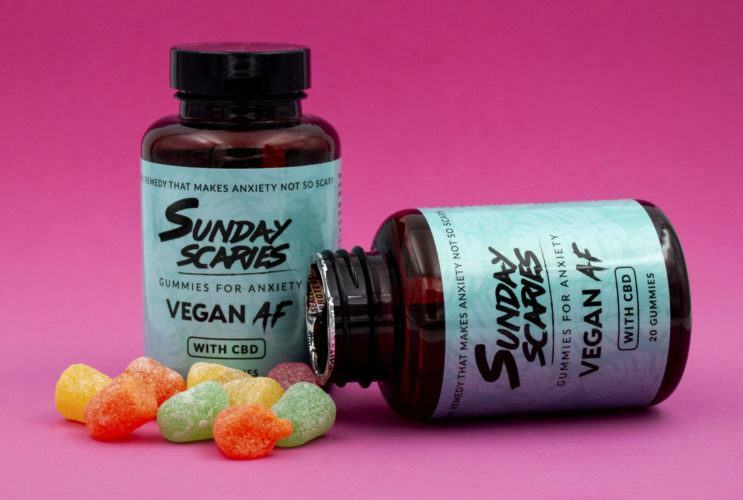 Despite their humorous branding, Sunday Scaries Vegan AF CBD gummies are a quality CBD product that offered noticeable relief to symptoms of anxiety in our reviewer. Sunday Scaries paid us a fee and offered us free products in return for our honest opinion. If you purchase a product from one of these links, we’ll receive a percentage of sales. Read more about sponsored content on Ministry of Hemp. Keep reading for our complete review of Sunday Scaries Vegan AF CBD Gummies. But Sunday Scaries takes their product very seriously. Their CBD oil is full spectrum and organic. Free shipping and discounts for people who buy via “subscription” make Sunday Scaries Vegan AF Gummies more affordable. They make a very targeted product line: just CBD tinctures and gummies formulated for anxiety. 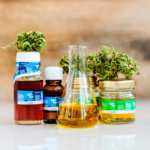 Sunday Scaries prominently posts their up-to-date third-party lab results verifying the cannabinoid content and quality. This is a must-have to ensure that the CBD oil you use is indeed CBD. This company’s hemp extract products are specifically designed to tackle anxiety. Sunday Scaries Vegan AF Gummies combine full-spectrum CBD oil with vitamins B12 and D3. Some research links a deficiency of these vitamins to depression and anxiety. 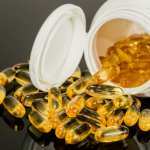 While the jury is still out, the the National Institutes of Health called for more studies on the possible links between Vitamin B12, Vitamin D and anxiety. Of course, you can take Sunday Scaries on any day, whenever needed. 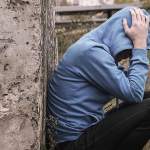 Anxiety does not restrict itself to any day or hour. The recommended dosage for Sunday Scaries Vegan AF 10mg gummies is 2-3 as needed, but those new to CBD gummies should start small. 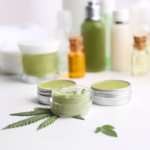 Every person’s response to CBD oil varies, both based on their personal chemistry and due to differing delivery methods. Sunday Scaries uses nano CBD oil, meaning the extremely small droplets of oil are said to increase the body’s ability to absorb CBD. We found that Sunday Scaries Vegan AF Gummies offered a noticeable anti-anxiety effect that aided in sleep when our reviewer used the suggested dosage. 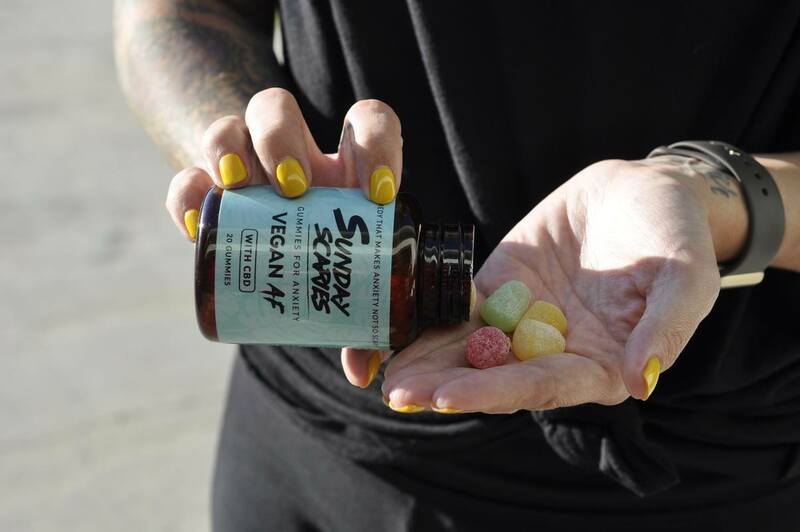 Highlights: Sunday Scaries Vegan AF Gummies are sugar coated, soft, and tasty — and include Vitamins B12 and D.
Strength: 10mg of full-spectrum CBD oil with 400 IU Vitamin of D3, 44 mcg of Vitamin B12 per gummy, 20 gummies per bottle. Special: Use coupon code ministry for 10% off your order. 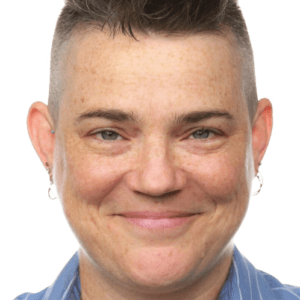 Customer Service & Shipping: Fast (and funny!) customer service. Free shipping. Flavor & Texture: These vegan CBD gummies are pleasantly soft, with deliciously tangy citrus fruit flavors that aren’t too sweet or too tangy. Ingredients: CBD oil / Full Spectrum Hemp extract plus Vitamins D & B12 with Organic Sugar, Corn syrup, Modified Food starch, Marice acid, Citric acid, Natural and Artificial flavors, Natural and Artificial colors. Other: Sunday Scaries offers a generous refund policy for unsatisfied customers. Sunday Scaries makes their products from organic hemp grown in the U.S. They also make also make non-vegan CBD gummy bears and 100 percent vegan CBD tinctures.